Do you have a story that needs to be investigated? 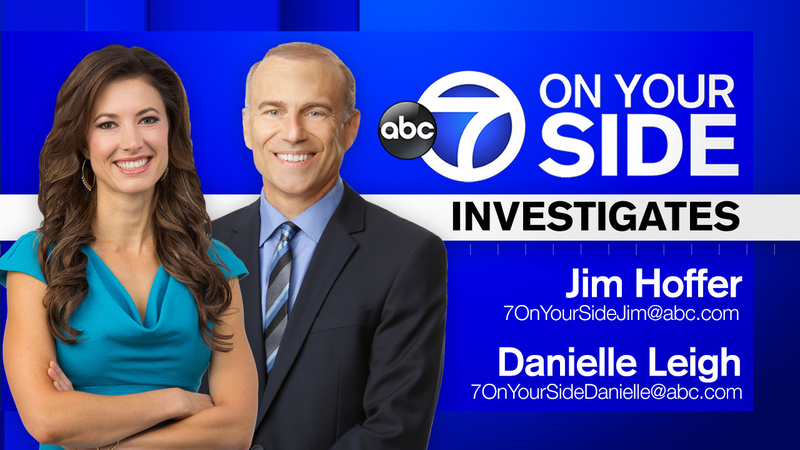 Jim Hoffer, Danielle Leigh and the 7 On Your Side Investigates team at Eyewitness News want to hear from you! Except in extraordinary cases, we do not handle family law disputes and criminal issues. 7 On Your Side Investigates cannot help resolve civil disputes such as suspected malpractice and issues that are scheduled for, or are already in court or before an attorney or arbitrator. We can, however, refer you to the proper agencies that may be able to provide the help you need. Before submitting email, please make sure you are contacting the correct station. This is 7 On Your Side Investigates unit at Eyewitness News on WABC-TV, the ABC station in New York City. Please Note: We receive a lot of "undeliverable" e-mail. Please be sure to double-check your return e-mail address if you are expecting a reply from us. We cannot be held liable for email that is undeliverable because an incorrect address was provided. Also, if you have a junk mail, spam or mass mail filter, please be sure that e-mail from The Investigators will be sent through properly. Due to the volume of email we receive, we are unable to fill out "approved sender" request forms that are automatically generated by many filters. Please set your filters to accept email from: 7OnYourSideJim@abc.com.